Who invented the Safe Cell? The evolution from US Government radioactive waste compactors to collective protection systems for civilians. The Safe Cell NBC air filtration system was designed by Len Henrikson after more than five decades of being an engineer and machine designer. Len started out designing and building equipment for the timber industry like log loaders, panel stackers. He then branched out and designed and built a series of radioactive waste compactors for the US Government. A major design requirement was to insure that particulates and gasses released from the material being compacted was not allowed to escape into the atmosphere and be inhaled by the operators. Designing the filtration component of these compactors gave Mr. Henrikson the knowledge and experience of how to design an effective air filtration system for the widest spectra of airborne threats. In order to insure the protection of the machine operators from inhaling radio active material, a Radioactive Waste Compactor requires containment and filtration of the radioactive particles that are off gassed during compaction process. 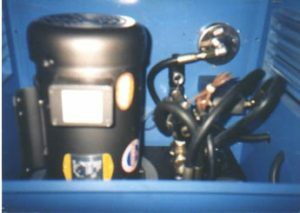 An NBC filtration unit requires that Nuclear, Biological and Chemical particulates and gases be filtered from the incoming airstream, all while the safe room or protected space be maintained at an overpressure in relation to the outside air pressure. 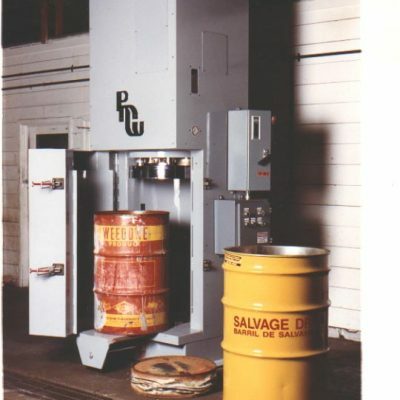 Henrikson set the design goals for his new machine to meet the critical specifications outlined in the US Army Corps of Engineers Design of Collective Protection Shelters to Resist Chemical, Biological, and Radiological (CBR) Agents, Technical Letter Number ETL 1110-3-498. In a properly sealed protected space, the Safe Cell will create and maintain positive relative pressure (overpressure) of at least .3 inches of water column to provide a Class 1 protected space. This is the gold standard for an NBC air filter. You need more pressure inside your protected space than outside to ensure that all air is flowing outward so if there are any leaks, unfiltered air will not migrate into your shelter. 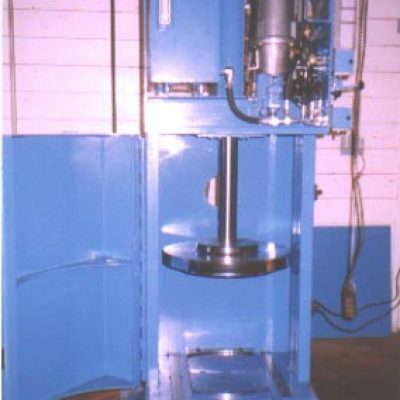 Since going into production and the machines release to the public the Safe Cell has been copied and reproduced by unscrupulous companies. The biggest problem with this is that many of the fraudulent machines do not function as required. This is due to the fact that many of the copycats do not understand the science behind the machine. An example of this the Magen 8-18 brand, currently being sold on the internet and eBay. The physical distance from the internal air port to the bottom of the first filter is insufficient to allow for proper diffusion across the face of the filter to be operable. In other words the raw air will channel through the filters in a narrow stream not allowing for the required residence time for the filter to do its job. In conjunction with this major flaw the Magen copy is of very cheep construction. We have had people contact us for warranty repair thinking that this was one of our units. After the September 2001 terrorist attacks there was an ongoing weaponized anthrax threat for several months. Mr. Henrikson designed a filtration system to protect mail handlers as well as anyone who required a wide spectrum collective protection system. 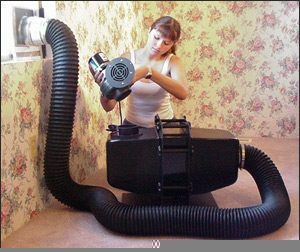 The mission was to come up with an inexpensive system that would provide effective nuclear, biological, chemical (NBC) air filtration at a cost that the average citizen could afford. In conjunction with that, the design must take into account such things as blast protection, shielding against an electromagnetic event, built in emergency power back-up, as well as assurance that it all works together properly by means of testing and certification. The Safe Cell has been in continuous production for 14 years with over 4,000 systems built and sold. It has evolved from a floor mounted system with an external blower to a wall mounted system with an internal blower with a switching power supply that gives it an automatic battery backup capability. There have also been many small product improvements that only happen when you have a mature product that has seen years of use. Next read the Testing and Certification of the filters we use in the Safe Cell.